FIDA Division 1. Williamstown (home) vs Kananook (visitors). Final siren. Three-quarter time. Seagulls twenty points down. Low scoring game. Save for the first goal of the first quarter, the Kananook Bulls have led all day and though Williamstown had defeated the Bulls earlier in the season, their last meeting was a ten-goal loss to the bigger, older Bulls. Klemm has not mentioned this loss during the week at training, or during the Grand Final pre-match address. 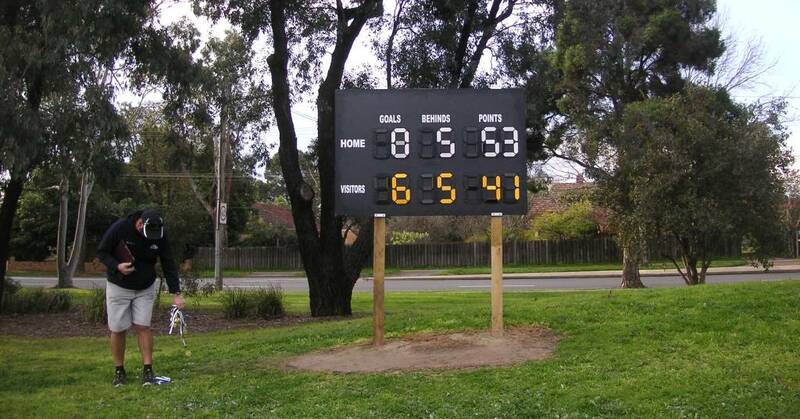 He has emphasised the recent victories over Kananook, especially last year’s semi-final win, which catapulted the young Seagulls into the 2013 Grand Final (won by North Ballarat by six goals). “We have the wind at our backs,” he tells the tight huddle at three-quarter time. “We have run in our legs. 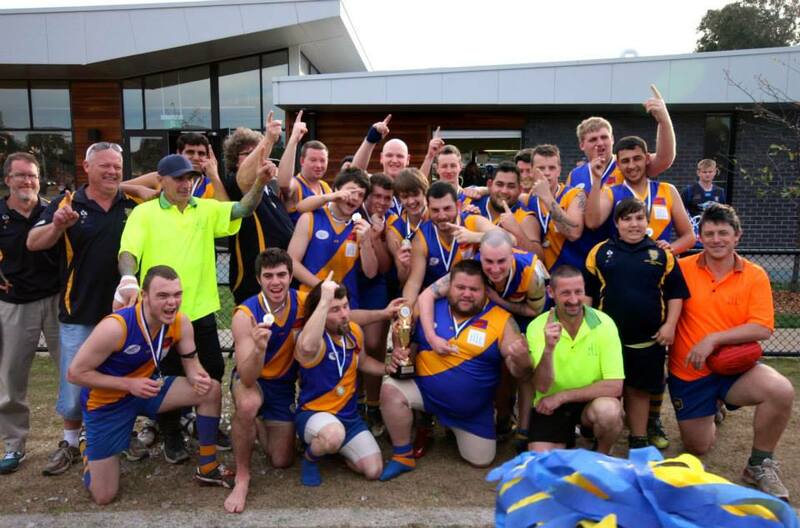 Last week Kananook only kicked three goals in the second half of their semi-final. They’re running out of puff, if they haven’t already.” He does not mention the ten-goal loss when Kananook kicked six unanswered goals in the last quarter. The Seagulls had kicked the first goal of each 15 minute quarter: experienced Corey Murphy from a mark 30 metres out in the first quarter, warrior Ray ‘Burger’ Warren from a Luke Barker handball in the second, and 14 year old beanpole Yasser Shubeilat from a chain of handballs and kicks in the third. But each time it was the Seagulls’ only goal for the quarter. Each time Kananook replied with goals from general play and downfield frees. The Seagulls’ Travis Barrett kicked the first goal of the last quarter, after a pass from playmaker Kelvin O’Connor. Margin: 14 points. O’Connor had turned his ankle in the first minute of the game and spent virtually all the first quarter on the bench. His second and third quarters were, not surprisingly, limited. Now, though, the game was up for grabs. Adrian Hays broke the pattern of the game with a long left-foot goal from the boundary. Margin: eight points. Then a behind. The ball barely strayed into the Kananook half of the ground. A brawl halfway through the final quarter was an ugly blight on the match. Williamstown full forward Ray Warren was sent off. Soon afterwards Luke Barker came off with a shoulder injury, followed by Jye Deane, also clutching a shoulder. Margin: still seven points. Kelvin O’Connor goals on the run from the forward flank. One point down. Luke Barker is sent back on the ground, and manages to push and knock and scramble the ball forward from the centre bounce. O’Connor goals on the run from the flank again. Five points up. Kananook has, indeed, run out of puff. A point to the Seagulls. A goal to Adrian Hays from the kick-out. The sealer. The siren. Victory. Premiership. Rake-thin Luke Barker was awarded Man of the Match Award. At the post-match presentation Rob Klemm remembered the late Dan Oakley, the reserves ruckman who died suddenly in July. Team photo by Col Newcombe. Many more via Facebook. Williamstown premiership players Andrew Villiers and Kelvin O’Connor, with premiership coach Rob Klemm.